In early 1994 my wife, Robin, returned home from her first day as a detailee to the Senate Banking Committee with a revelation that would change our lives forever. The awkwardly titled report she brought to me–“Gulf War Syndrome: The Case For Multiple Origin Mixed Chemical/Biotoxin Warfare-related Exposures”–contained several detailed claims by ailing Desert Storm veterans of chemical alarms going off during the war, and several credible accounts of chemical agent detections, and thus potential exposures to the troops. When Robin told me that staffers in then-Joint Chiefs Chairman Colin Powell’s office had tried to prevent the Committee from publishing the report in September 1993, it brought back some of my own memories from the war–of seeing classified reports from the National Security Agency, the Defense Intelligence Agency, and my own employer, the CIA, about the deployment and even use of chemical agents by Saddam’s forces in occupied Kuwait. There were many such reports throughout the six-week long conflict, and my of those reports were detailed and seemed credible. At the time, my colleagues and I at the National Photographic Interpretation Center were told by General Schwarkopf’s staff in Saudi Arabia that the reports were all false. Now, I held in my hands evidence from the troops in the field that said otherwise. I had also served for many years in the Guard and Reserve, and I knew that some of our chemical agent detection equipment was suspect, but to suggest that every single alarm that sounded during the war was false? It strained credulity. I decided to conduct my own internal (and unauthorized) investigation of the matter inside the CIA. That decision was the beginning of a more than two year campaign by me and my wife (also then CIA analyst) to try to get our employer to revisit its conclusions that no Iraqi chemical agents had ever been deployed into the Kuwait Theater of Operations. And the CIA responded–by trying to discredit us, initiating a bogus counterintelligence investigation of me, and refusing to take the necessary steps to have a truly independent review of the Agency’s previous conclusions that no U.S. troops had been exposed to Iraqi chemical agents. Even with those obstacles, our efforts ultimately bore fruit. The relatively limited review of the available intelligence from the war led Agency analysts to discover–thanks to the work of United Nations weapons inspectors in Iraq–that Saddam had indeed deployed chemical weapons to the Khamisiyah ammunition storage facility in southern Iraq. The facility had been overrun by engineers of the 82nd Airborne Division, who subsequently blew up the tons of ammunition they discovered at the site. What they did not know at the time was that some of those weapons contained degraded but still potentially dangerous sarin nerve agent. It took the data obtained by the U.N. weapons inspectors, along with accounts from some of the troops on the ground–ignored by the CIA analysts I was dealing with–to ultimately piece the truth together. When the CIA and Pentagon announced the Khamisiyah exposure incident in June 1996, they attempted to paint it as a small, isolated affair involving only a handful of troops. I had access to still-classified data that suggested many more such potential chemical weapon storage sites existed during the war. A much more probing and thorough analysis of the data was called for, but the Agency continued to arbitrarily limit the scope of its inquiry. It refused to interview U.S. veterans with information on potential incidents. Pentagon officials issued a memo instructing components to be on the lookout for documents that “might be embarrassing” to the government. When it became clear that neither agency would fully and thoroughly examine the facts, my wife and I decided to leave the CIA. We felt the veterans and their families deserved the full facts about their government’s misconduct. 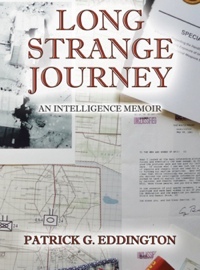 After our story appeared in The New York Times on October 30, 1996, the CIA tried to pretend that it was all just a misunderstanding, calling a press conference (a rarity for the Agency) to try to rebut our allegations and claim that it was simply an “analytical disagreement.” By April 1997, the story had changed once again with the admission that Agency analyst had suffered from “tunnel vision” by ignoring evidence about the Khamisiyah depot and the potential exposures among the veterans. Subsequent downwind hazard modeling by the Government Accountability Office would show that tens of thousands of veterans had likely been exposed to low levels of chemical agents. A November 2008 report by a Department of Veterans Affairs’ Gulf War research advisory committee concluded that a small but measurable spike in brain cancers among veterans in the Khamisiyah demolition’s plume might be connected to their exposures. Despite these facts, the passage of time and two other consuming, ongoing wars have left Desert Storm veterans in danger of becoming America’s latest generation of “forgotten veterans.” Last year, Rep. Rush Holt (disclaimer: I work for him) inserted a provision into the Fiscal Year 2010 Intelligence Authorization Act that was designed to help ensure these veterans and their families are not forgotten. One of the under-reported facts about the CIA’s investigation of my allegations was the January 1998 revelation by the CIA Inspector General that the Agency had identified at least 1.5 million documents that might have some relevance to the illnesses and exposures reported by the veterans. The catch was that the documents were never going to be reviewed for declassification, just made available to the Pentagon–the same Pentagon that had denied any exposures had happened in the first place. Holt’s provision mandates a declassification review of those documents. Hopefully, that process will help give ill Desert Storm veterans more answers and a measure of closure on what their government really knew about they were exposed to during and after the war. This year marks the 20th anniversary of the end of the Desert Storm ground war. For ill Gulf War veterans, the war to learn the truth about why they are sick–and what can be done to help them–goes on.